Fernando Aranguiz published his amazing novel Aniversario in the original Spanish in 2010. Beginning with the story of the author’s early experiences in the humanist movement in Chile in the 1970s, the novel goes on to develop an intricate saga of human evolution in the 21st century, interwoven with a moving tale of profound true love. The Master Game communicates a joyful and optimistic intuition about the ultimately positive direction of the human race. 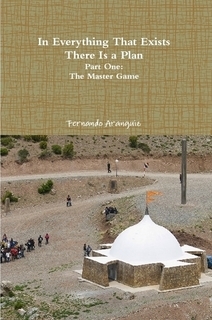 The English version, titled In Everything That Exists, There Is a Plan – Part I: The Master Game, has just been released and is available at Lulu.com and also on Amazon.